Baby corn in potato towers. 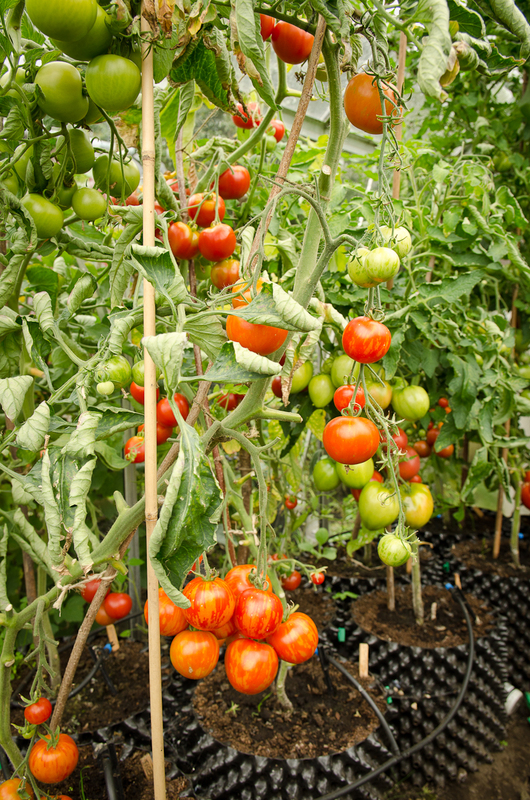 Heading into Autumn the greenhouse crops continue to yield well with the drip fed tomatoes and chilies producing plenty of fruit. 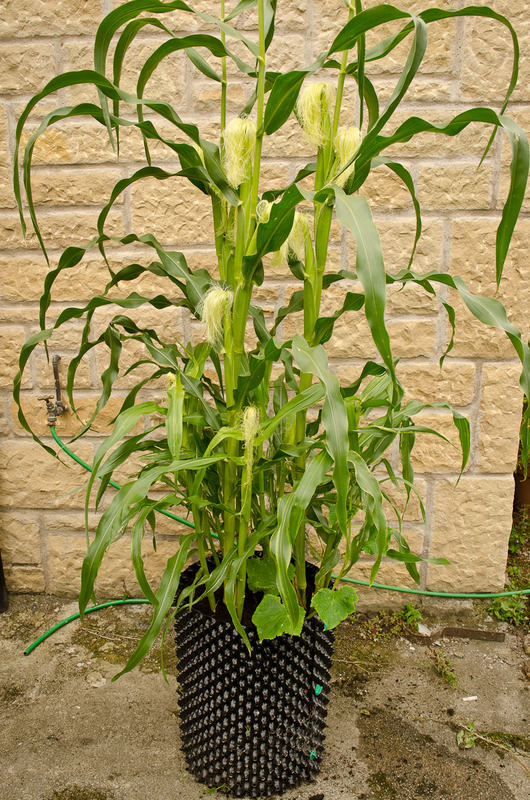 A couple of baby corn plants in 14 litre Air-Pot containers have produced a modest harvest of dinky little cobs. Any kind of corn is a bit of a gamble this far north which is why I went for the quicker cropping baby corn and kept some under glass. Some plants were left outside; they have been a bit slower to develop but have still grown well. I put three young plants in a 50 litre Air-Pot potato tower which I had handy, filling it two-thirds full of compost. After several weeks I topped it up. Maize plants throw out prop roots from the lower stem so I thought earthing-up around the stem would give the prop roots something to grow into. I did not realise the response of the plants would be to send out multiple stems. 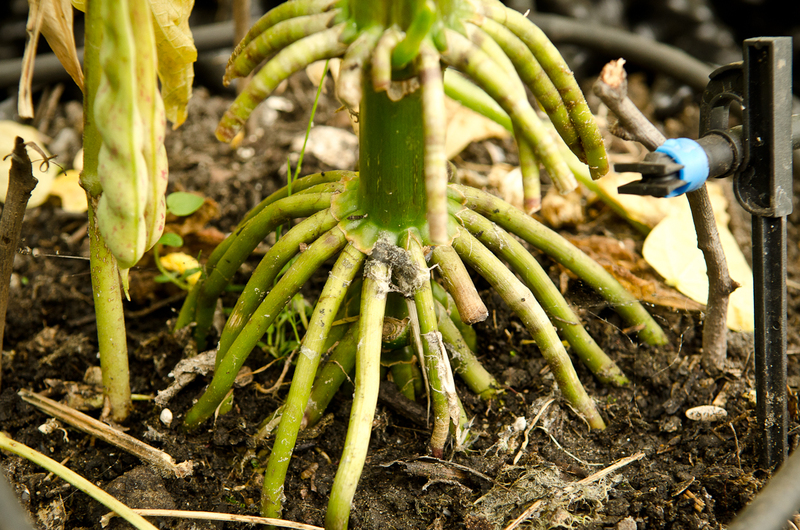 It seems earthing-up not only gave the aerial prop roots compost to grow into but also stimulated buds at the buried nodes to develop. So now the potato tower contains the original three stems, plus seven or eight subsidiary stems, It is quite a dramatic pot full, especially with the hairy tassel like flowers from all the embryonic corn cobs. 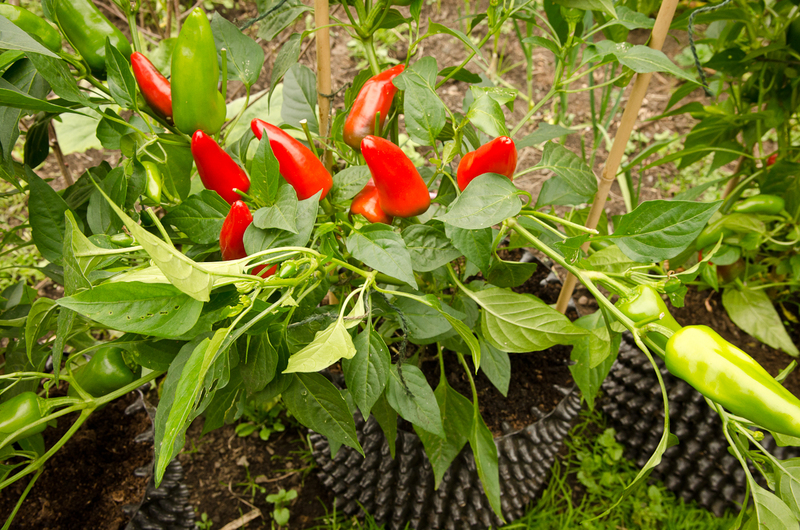 Air-Pot potato towers are designed to allow for earthing-up. The top portion does not have holes which means plants can be started with the container only partially filled. I am now wondering what other plants could benefit, I may try proper sweetcorn and black currants. Awesome, going to copy you. Good luck with that. Having checked the growing guidance on the packet of Snobaby sweetcorn I grew, I see the suggested spacing is 20cm. So I wonder if the Air-Pot potato tower might take more than 3 plants, particularly as they are quite a deep container. Perhaps 4 or 5 would be possible with generous feeding & watering? As this F1 seed is fairly expensive I carefully chitted a few kernals in a folded damp paper towel kept covered in a warm place. As soon as a sprout showed they were potted-up into a small container, this method gave 100% germination.